Active youth in time of crisis are the driving force behind better tomorrow! 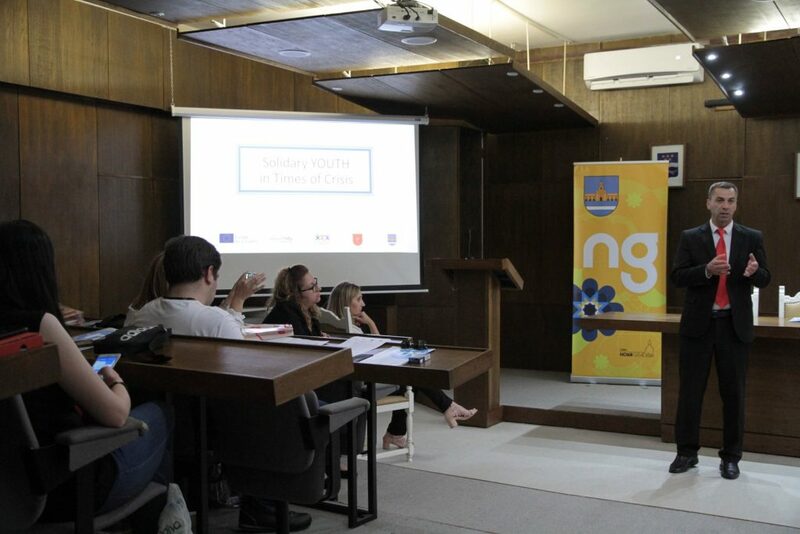 This was one of the key points discussed during the town twining project event Solidary Youth in Times of Crisis led by Mladiinfo International, in partnership with Volunteer Center Slavonski Brod and in cooperation with Gazi Baba municipality from Macedonia and Nova Gradishka municipality from Croatia. The event took place from 30 May – 1st of June 2018 in Nova Gradiska, Croatia. Learn more about the event Town Twinning Europe for Citiziens_Solidary Youth in Time of Crisis. Macedonia and Croatia are countries with a long history of crisis situations, influenced not only by the human factor (political and social problems, armed conflicts), but also natural disasters (earthquakes, floods, fires). Undoubtedly, the floods show in Skopje (2016) and Croatia (2014), but also the refugee crisis, leaving behind 30 victims and more than 300 people injured. Mladiinfo International together with Volunteer Center Slavonski Brod through the project “Solidary youth in times of crisis and natural disasters” jointly with representatives of the municipalities “Gazi Baba” and “Nova Gradiska”, first worked on online and offline mapping of national and local state actors and relevant stakeholders responsible for emergency response in the times of natural disasters and crisis. More information about the mapping can be found here. 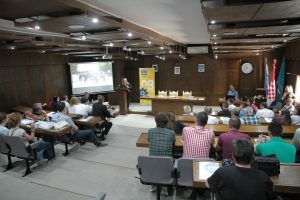 During the event on 1st of June participants exchanged their experience, learned new techniques for dealing with elementary disasters, and had broad discussion for better understanding the importance of the solidarity in times of crisis. All of the participants agreed among each other about the important role of the volunteers and also discussed about the opportunities that European Solidarity Corps is offering to young people. The participants also discussed how the new technologies, digital tools and social media can be used in time of crisis. 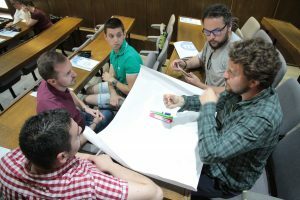 The participants from Macedonia an Croatia also developed a small action steps for responding to natural disasters and collaboration between the local authorities and young volunteers. Check the action plans document from that was produced during the workshop here. Below you can look the photos from this event and read the statements from the participants and speakers. 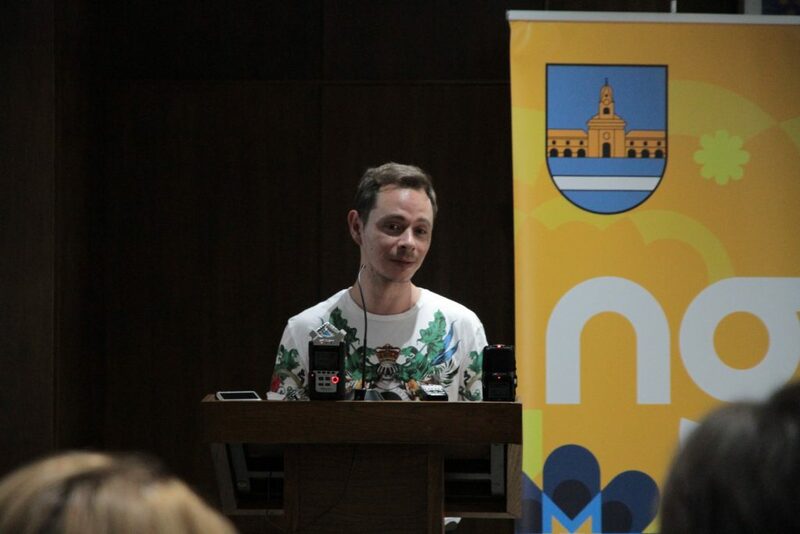 “We, the people form Nova Gradishka Town are very connected with the people from Macedonia in times of crisis. 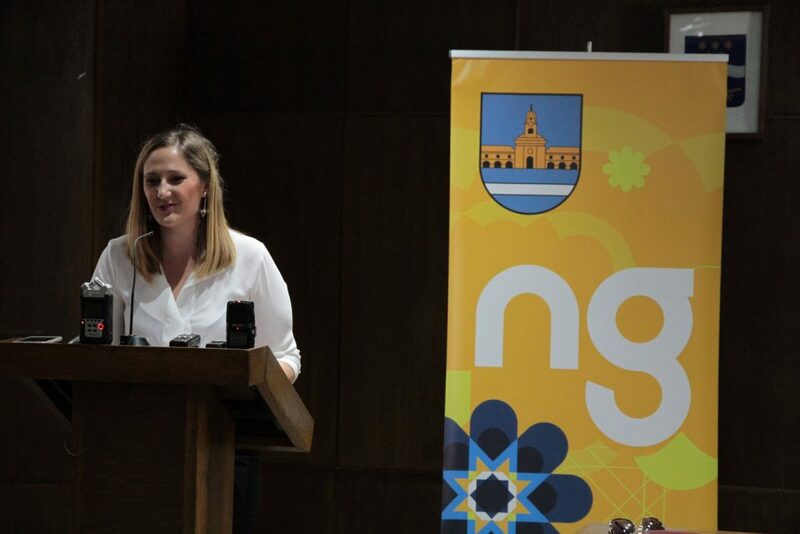 With this project we want to include young people in the processes of proposal and decision making which are very important for the development of the community” – said the Deputy Mayor of Nova Gradiska town, Ivana Trupina. “In my opinion, this project is very useful and educational for young people because from the other people experience we can learn a lot! Permanent and constant work with young people is needed. Also, spending time and educating young people about what actually volunteering is and what are the advantages of volunteering is very important.” – said Ivana Magdic the Project coordinator at Volunteer Center Slavonski Brod. The President of the Council of Gazi Baba municipality, Toni Bojkovski said: “Volunteering is the noblest work towards better community. If each of us helps and contributes somehow even for one day or one hour it is a big day and maybe we can prevent some upcoming issues in the society”. “Through volunteering each individual works on to become a better version of himself. Through volunteering we work on building and improving ourselves as an individual, and through this we build a better community for all” – said Ivan Tomasic, Project Manager in Volunteering Center Slavonski Brod, Croatia. “With my 10 years of experience in the Macedonian Red Cross, I think that this kind of projects is helping young people to get clear idea and vision how helping and volunteering in time of crisis look like. 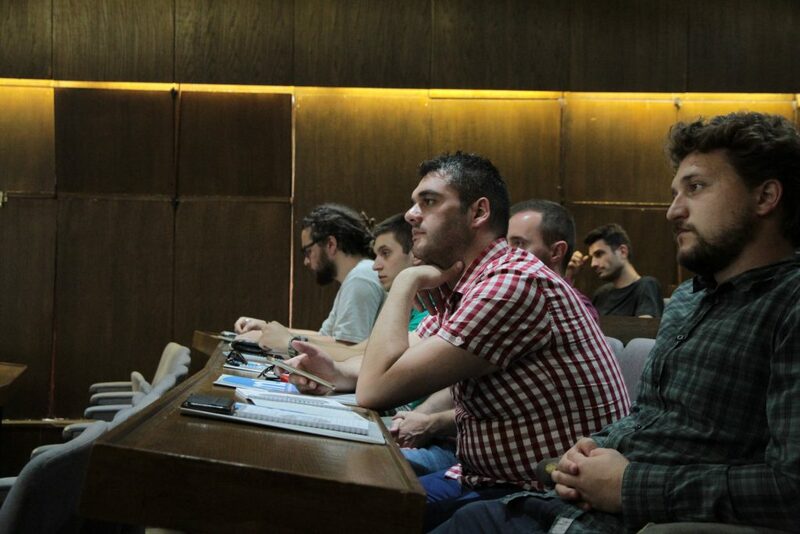 Also this kind of projects helps young people to better understand their role during volunteering in time of crises”, – said Kristijan Gramov from the Macedonian Red Cross. “First of all this project affects me on a personal level and motivates me to look for new solutions and ways on how to influence in the community in times of crises. Thought this project I had the chance to learn more about the involvement of the institutions and their actions, and how the NGOs and volunteers can impact during crises. For me it’s very important that I met new people with great energy and willingness to help others. Also during the informal gatherings on this event I heard and learned about their experiences and how I can contribute with my knowledge as an architect on this topic. 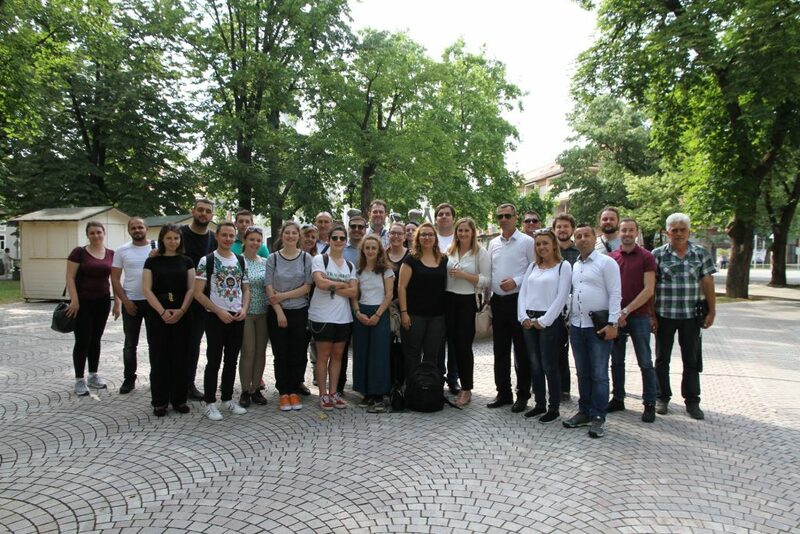 Nevertheless, this kind of projects are helping a lot for building the awareness of young people towards their responsibilities in the community and creating greater sense for solidarity” – said Stefan Angelovski volunteer and young architect from Macedonia. The project is funded with the support of the Europe for Citizens programme.